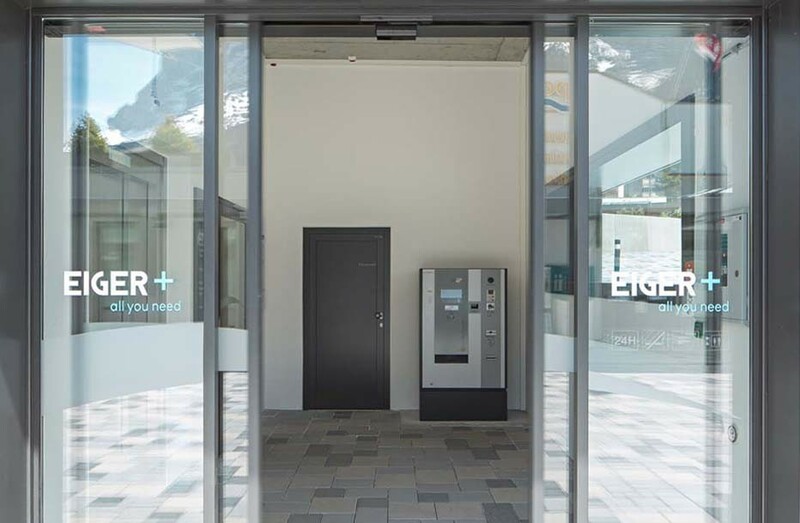 You’ll feel at home straight away at Eiger+! 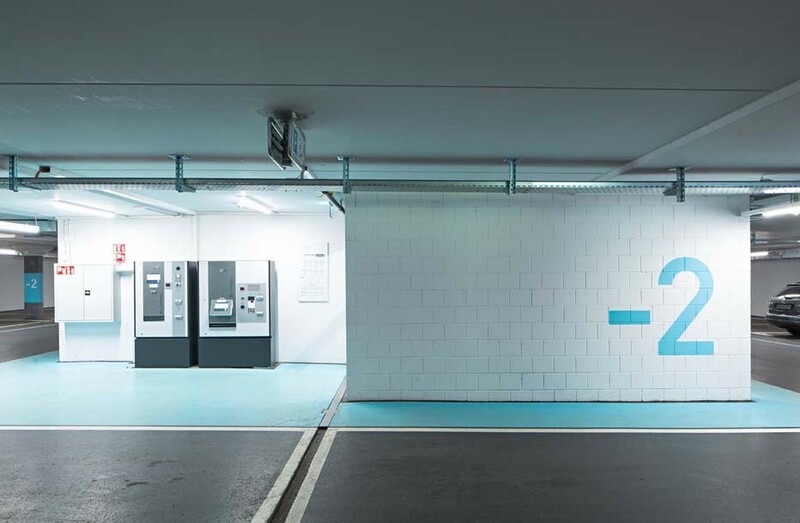 Because the moment you walk in you’ll notice that everything is designed to ensure you enjoy your time with us. 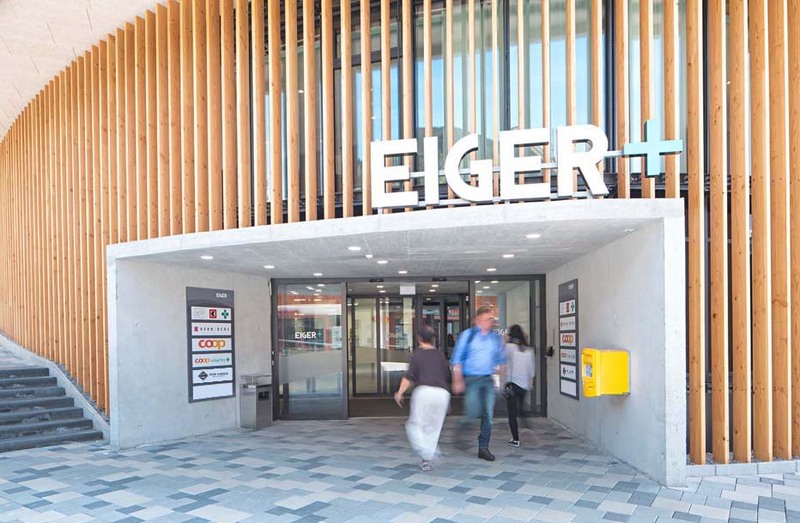 Eiger+ has transformed the village centre. 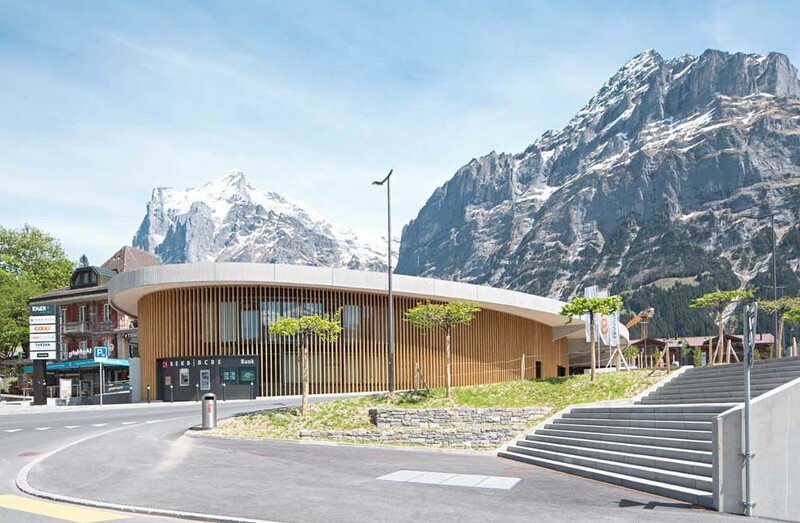 Where there were once car parks dominating the scene, it is now a place of architectural elegance designed to ensure visitors to Grindelwald enjoy every minute of their time here. 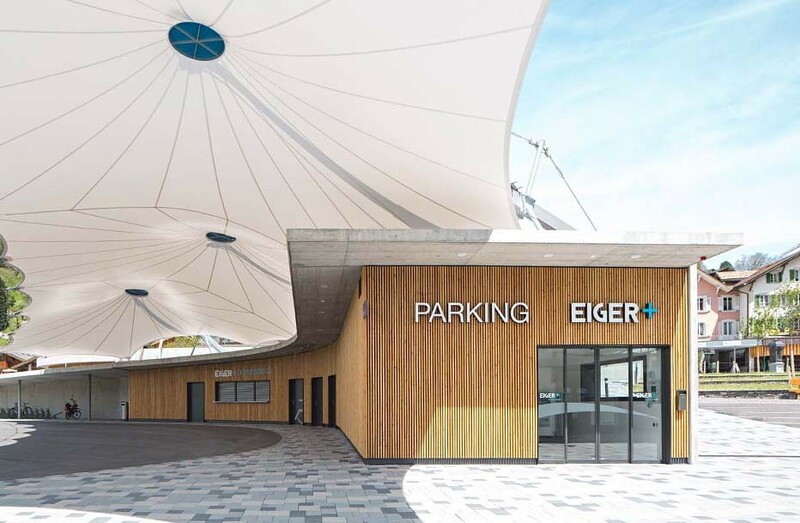 On the roof of the car park there is a big, multipurpose public square with a cafe and public toilets, offering space for a variety of open-air events. 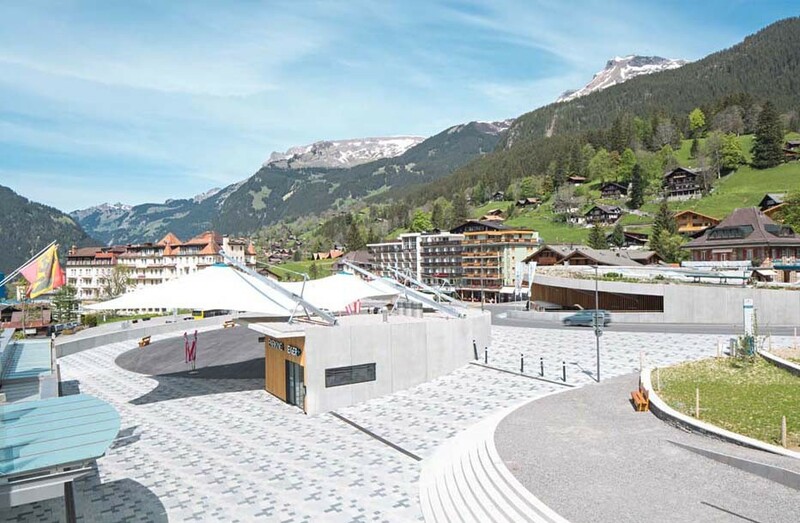 A key feature is the space on the roof of the Shopping mall, which boasts a beautiful, instructive Alpine garden and is designed as a panoramic observation platform. 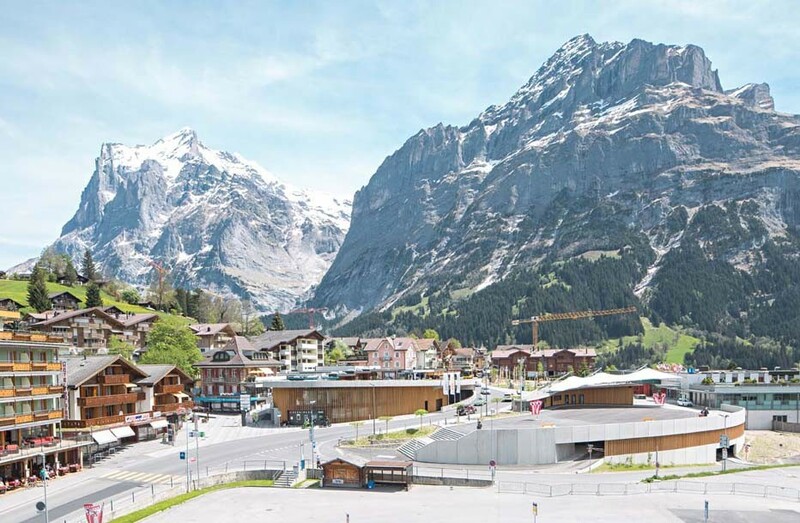 With its breath-taking views of the surrounding mountain scenery, Eiger+ is a wonderful place of encounter for local residents and visitors alike. 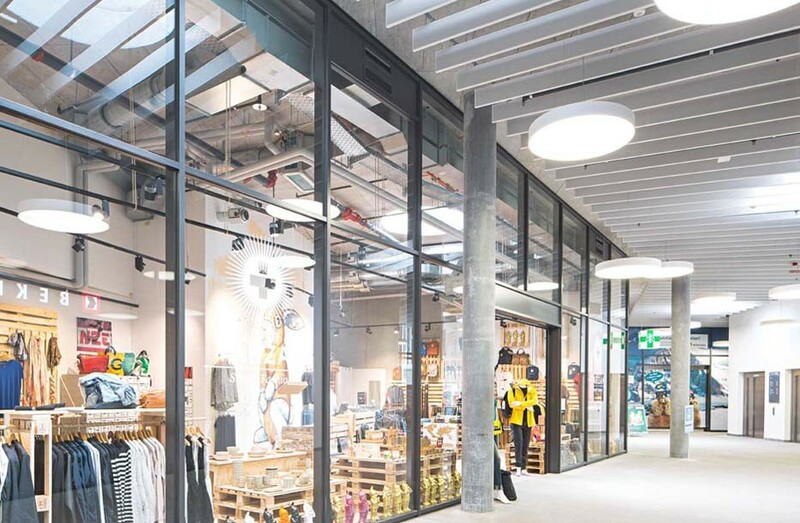 And with a state-of-the-art children’s playground right next door, it’s also a great place for families. 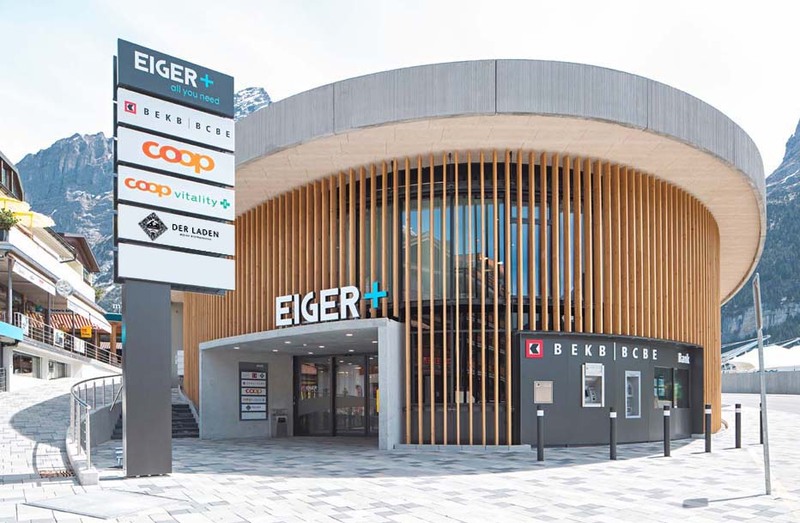 The high quality of the architectural design on the outside of Eiger+ continues on the inside. 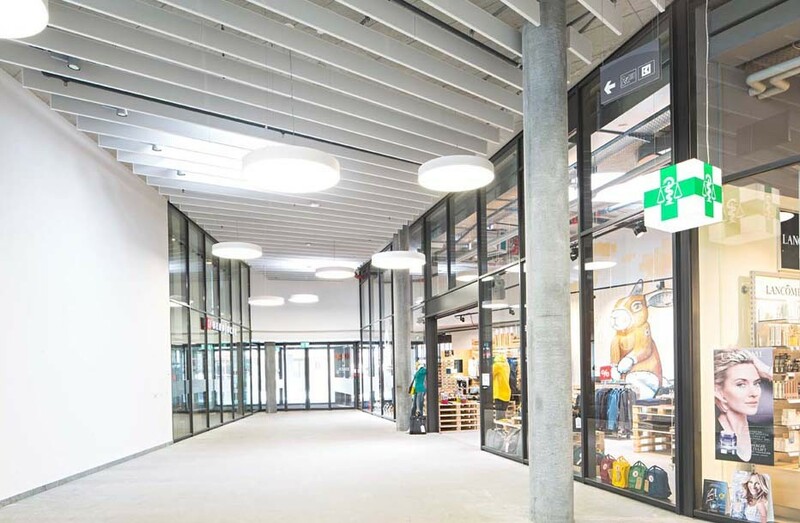 The spacious mall offers plenty of promotional space and is finished in high-quality materials. 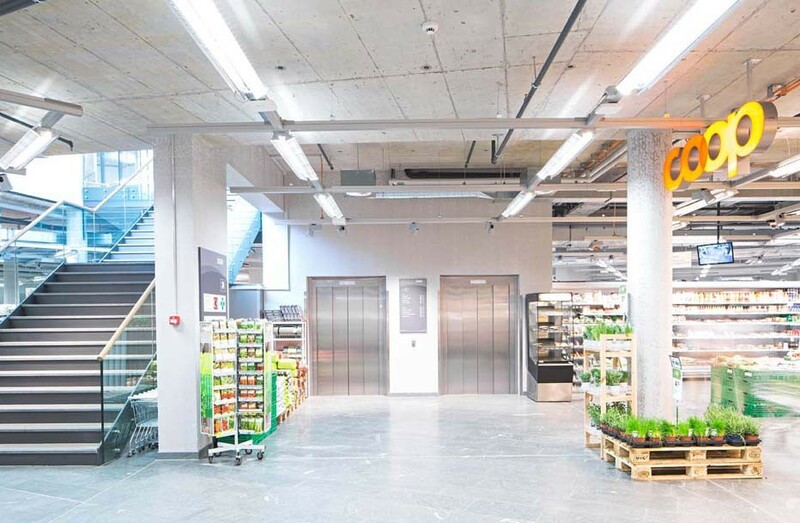 The light, elegant ambience makes for a relaxing, enjoyable shopping experience. 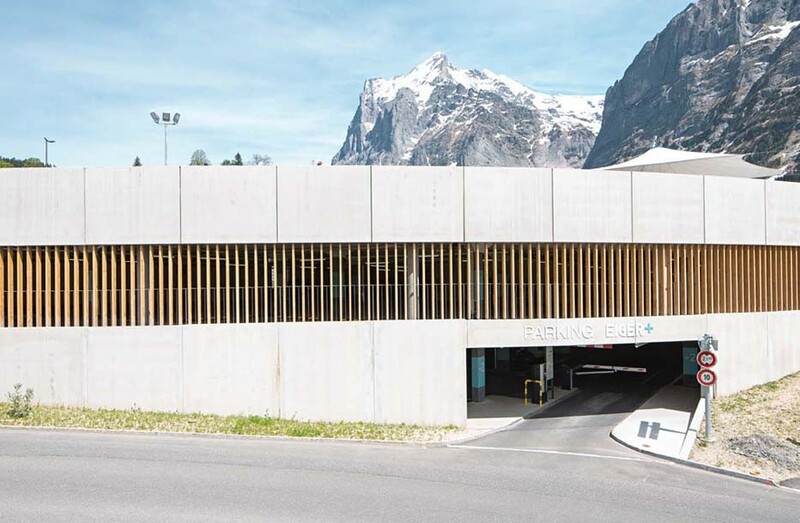 For visitors arriving by car, there are 252 parking spaces at the Eiger+ underground car park. 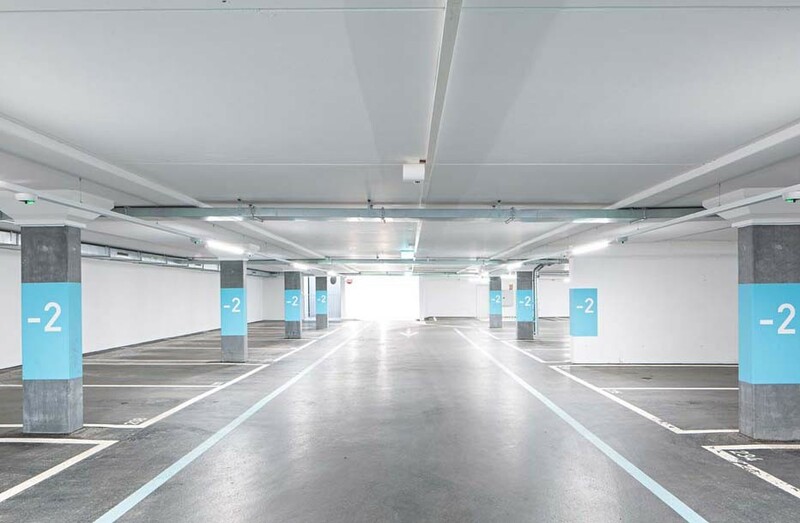 Located at the heart of the village, it is equipped with the latest technology and has underground access to the Shopping mall.